March | 2014 | Franchising You. Are you feeling uninspired, under-utilized, or unchallenged in your current corporate leadership role? Have you thought about starting your own gig but never quite landed on the right concept? If you answered yes to either of these questions, it’s time to consider franchising as a potentially lucrative and highly satisfying option. Many have gone before you! You can get to the market faster with a proven business model and focus on leading your location(s) to success in your particular market(s). Just do your research as every franchise brand offers their own blend of the Franchise Disclosure Document. You will understand how to look at business challenges and arrive at solutions more quickly utilizing the tools the franchise system provides. It takes out some of the guess work, trial and error, and wheel-spinning stress which accompanies most fresh start-ups. Even if you are learning a new industry as you launch a particular franchise, again, the fact that a model that should be able to demonstrate results (again, do your research!) fills in most of the blanks which are inherent if you don’t have one to work with out of the gate. There are franchisees who have gone before you and contributed to shaping the system with best practices only truly learned in the field. Some have commented this leads to great changes which might have taken much longer in a large corporate environment. TWO MEN AND A TRUCK® is fortified with over 25 years of change-making, plus testing and re-testing for process optimization across its operations. All of the above benefits put you in a place where you are driving success, as we like to say at TWO MEN AND A TRUCK®, versus defining it from scratch. You implement and lead on a day-to-day basis as the top person in a company (welcome to C-E-O! ), plus maybe you get to test drive a new industry which, for business people looking to jumpstart their career in new spaces, can be an exciting proposition. 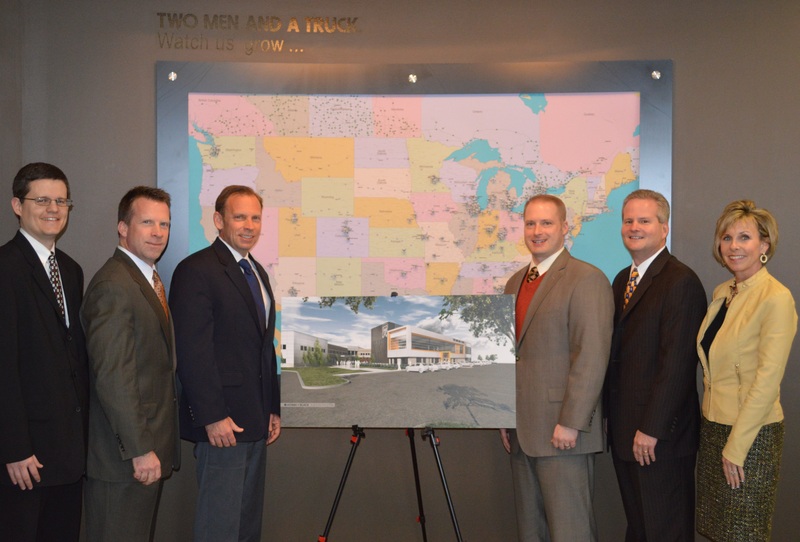 At TWO MEN AND A TRUCK® , it has been our pleasure to help over 240 make career transitions to franchising. Many of our franchisees arrived from the corporate world seeking a new opportunity which included the chance to step into a top leadership role of company…theirs. As a system, we support this transition by providing high caliber operations, IT, marketing, and sales tools this audience is used to inside a corporate environment, plus they get the added benefit of learning best practices more quickly from other franchisees. We also provide a high level of transparency relative to performance metrics of every aspect of the business – from customer referral and satisfaction rates to lead flow and sales conversion to recruitment efforts and applicant flow. This data serves to give franchises a sense of where they fit in the overall system and individually to address year-over-year anomalies and the like. Our business reporting and performance dashboards help you find answers more quickly to making your business the best. Your business brain and experience will help you look at these reports and move fluidly and swiftly. And as a franchisee of this system, we consider you a partner in servicing the over 430,000 customers in 2013 with a 96 percent customer referral rate. So, are you convinced you’re ready to take a look at franchising as a career opportunity? Whether yes or no, and whether TWO MEN AND A TRUCK® is right for you, our Franchise Development Team will assist you in the exhilarating process. More and more people are considering franchising as a viable solution to starting a business, especially since the ground work has been laid to yield success. The major wrinkles have been ironed out and what remains is a blueprint of best practices, not to mention business support services are at a franchisee’s disposal. When looking for the right franchise it’s important to keep an open mind, but how do you make sure your motives align with the franchisor? Before you begin searching for the ideal concept, reflect on what is important to you as a business professional. Be honest with yourself. What are your core values? Upon what type of values would you build your ideal business? This could be as simple as making a bulleted list or even writing a personal mission statement. Then, as you research brands, compare your values with theirs to determine if the relationship will work. Don’t budge on your values, even if the company sounds perfect in all other aspects. Eventually there will be a clash and issues will arise. At TWO MEN AND A TRUCK® we took a lot of time and energy to ensure our core values and mission statement represent what we live by daily. For us it’s important that each franchisee, corporate employee, and move team believe in the core values of TWO MEN AND A TRUCK® as well as be accepting of our transparency as a company. Yes, we continuously strive to exceed our customers’ expectations in value and high standard of satisfaction, but it goes much deeper than that. 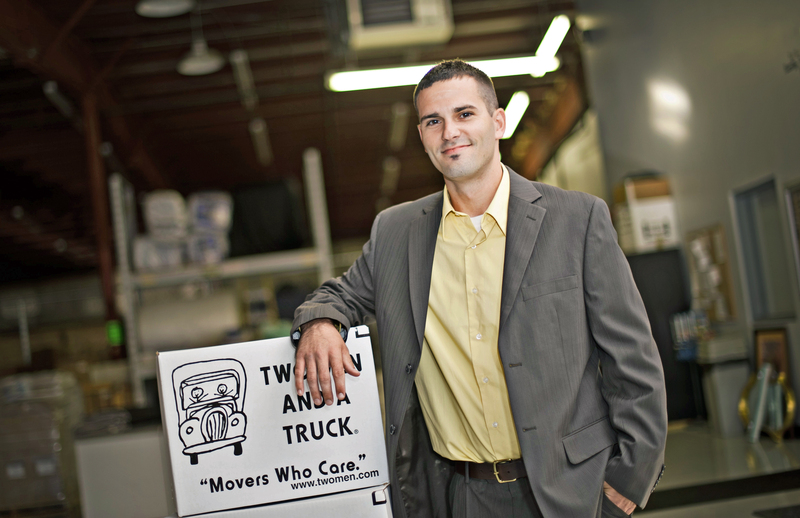 At TWO MEN AND A TRUCK® we approach franchising the same way many approach a marriage. We want this to be a long-term, mutually beneficial relationship between two parties. We like to say our franchise development team is not in the business of selling franchises, but rather awarding franchises. During Discovery Day, our team evaluates a prospect’s core values to ensure they are in line with ours. Our goal is to partner with people who, year after year, are pleased with the decision they made to become a part of this system and are looking toward prosperous and highly rewarding future with the brand. We realize there will be times a prospect is simply looking for a lucrative investment opportunity and to make a quick buck by buying into the system. Others may be driven by the desire to reinventing the wheel and overlay their own preferences. This particular type is considered too entrepreneurial for franchising. And that’s OK! Maybe we aren’t the best fit for them. There are and will be times where prospects come into the system and not only fit spectacularly within our value set, but they also help us gain new perspectives and improve processes. 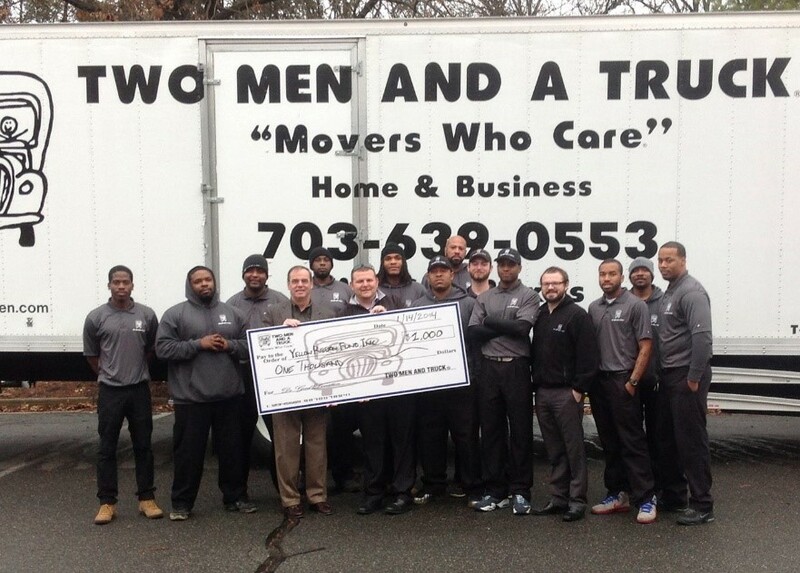 One of the examples of a new franchise going above and beyond giving back to the community is the TWO MEN AND A TRUCK® Springfield, Va., location and their Do Good program. Even before they were awarded their franchise they created a robust plan to create the Do Good program where they donate 1 percent of all moves to one of six identified charities. Customers can then choose which of these local charities they would like to support with their donation. 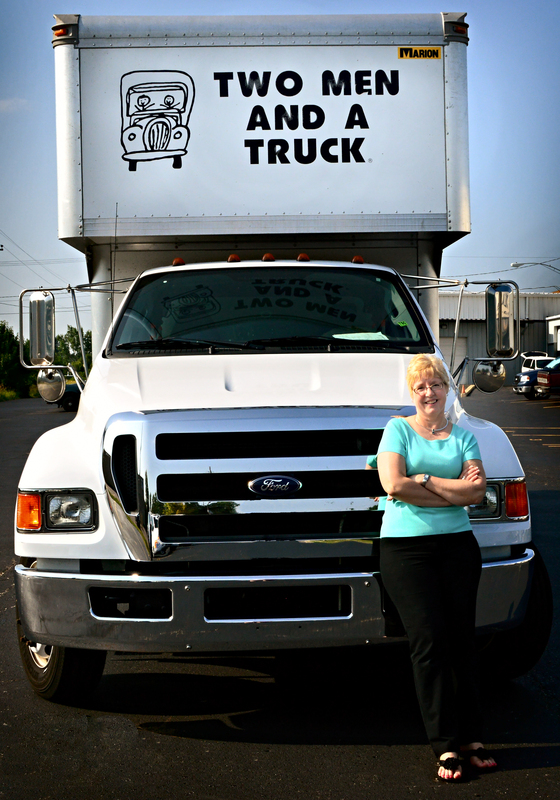 Do you feel you’re the perfect fit for a TWO MEN AND A TRUCK® franchise? Visit our website to learn more! Looking back at TWO MEN AND A TRUCK®’s 2013 growth, it is evident 2013 was a year of hard work and impressive results! With the addition of 20 new locations and strong double-digit growth, we’re motivated to continue this momentum into 2014. Focusing on ongoing growth initiatives, we’re looking to surpass the 2013 numbers by posting a system-wide net-income goal of $375 million for 2014, in addition to signing 30 new territories. 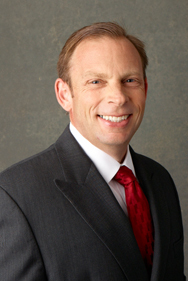 Brig Sorber CEO of TWO MEN AND A TRUCK®/INTERNATIONAL, Inc. There are times throughout the year I stop to breathe and reflect. I think about what we have accomplished and what we may have suffered or struggled through as a family over the year. Sometimes I go way back and think of our first house for instance. A $15,000 fixer-upper in a little town in Michigan’s Upper Peninsula. The memories are great but I sure would not want to go back! I think about the necessary changes that had to take place, the sacrifices, and hard work to move us forward as a family. We all have stories to tell of tough decisions and sacrifice to better our lot in life. For me, I use this time to look over the past year at our system’s accomplishments. Like my personal life, this TWO MEN AND A TRUCK® year has not been perfect, but it has been a very good year. Taking on challenges, evolving, and changing with the curve balls life throws us and trying to move everything and everyone forward. I look back to six years ago and the massive challenges that faced us as a system. A crippling recession starting and our old operating system sputtering and smoking, no longer keeping pace with business. I remember the frustration of a multitude of customers wanting to use technology to communicate with TWO MEN AND A TRUCK® and we were not prepared. We had a more than 70% abandonment rate for our estimate request form located on our website. We lacked the skill, consistency, and processes needed. Our customers and their needs were changing and we were not. We learned a valuable lesson; if your business is not growing, it’s dying. There is no nirvana in business! After a massive evolution to our system, we now have the whole TWO MEN AND A TRUCK® nation in the cloud. All locations using the same hardware, software, and metrics. Sharing this amount of data on such a large scale is truly the essence of franchising and will only enhance the customer experience. In May we will complete our five millionth move! TWO MEN AND A TRUCK® will complete a move every minute of every hour of every day. No longer avoiding change but looking for ways to get better in an ocean of opportunity. The Board of Directors presenting a rendering of the new Home Office building. TWO MEN AND A TRUCK® not only survived this on slot over the years, we grew in it. We have more than doubled our business in the last four years while increasing customer satisfaction and franchise profitability. Was it easy? No. Like my old house, it is interesting to look back on where we were and where we are now. Like my old house, I do not want to go back and live in it. Like my old house, the trade-off of hard work and sacrifice to move forward was worth it. What we as a company accomplished over the last six years is on the high end of miraculous. But much like our personal lives, just when we think we have it all figured out, here come the curve balls. It’s funny, this time it is not our brokenness that will put the pressure on us, but our success! Our success has not gone unnoticed. With expanding market share, media placement, and increased locations, we have garnered a lot of positive national exposure. We have also been noticed by competition in the moving and storage sector and in the franchising world. New technology has also opened up our livelihood to groups who want to build a better mousetrap when it comes to moving. Either all aspects of the move or small parts. As Neil Young sang many years ago, “rust never sleeps”. Our competition will never sleep either. For TWO MEN AND A TRUCK® to not only thrive but survive, we will have to get used to this life of change. It is important to remember where TWO MEN AND A TRUCK® came from when we look at the moving industry as a whole. We are still very new to the scene in the history of moving and storage. No one in the industry saw us coming. From a small seed of two boys and a pick-up, to all of us now. Want to know what it looks like when you refuse or drag your feet when it comes to change? Look at our industry. It should be a business study. If we do not continue to push evolution and change in the TWO MEN AND A TRUCK® system, we will simply relive the demise of so many other companies in our industry. What other tiny start-up seed is germinating out there with a fire in their gut, who are more than hungry enough to stomach the change? Let’s throw the curve ball of success into the equation. Success allows us to come up for air, look about, and breathe. Success allows us to have choices. We as humans, given a choice, will rid ourselves of things that give us pain. Change in many cases bring pain. Change is more palatable when death is imminent but when it is not, human nature will avoid change. Ask the smoker, the drinker, and the dieter. In the end we have two choices: we steer change to reach our personal and business goals and vision, or we avoid change. Avoiding change takes us out of the driver seat and puts us in the back seat. Change cannot be avoided! Hide and it will find you and dictate your steps. I feel over the last six years we have climbed into the driver’s seat. We never want to be in the back seat again.